Read more about each position and if you find one that interests you, use the link to apply today! Need more information about several positions before you apply? Use the Tell Me More link and one of our PRCA Hiring Managers will contact you. Regular Part-Time positions follow the year round hours guidelines (up to 28 hours per week). Regular Part-Time position listings can be found on the City of Kettering’s Job Page. Want to stick around awhile and work with us year-round? Year-round part-time positions can work up to 28 hours per week. Interested in working with us up to 40 hours per week for a specific time period or season? The fixed length of a season is 6 months or less. Employees who work in a seasonal classification must have a 6 month break in service before working in another classification within the City of Kettering. We are currently hiring Summer Camp positions! Check out the categories below to see which opportunity could be right for you! 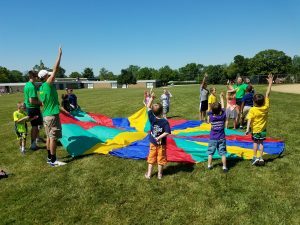 The Summer Camps Team plans a fun summer of adventure with new experiences in the areas of environmental education, art, theater, sports and more! As part of our Summer Camps Team, you are a role model for the youth of our community and have responsibility for teaching new skills and ensuring camper safety. Prior to the camp season, we conduct a thorough training for all members of our Summer Camp Team which includes First Aid & CPR. 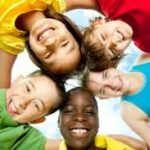 To learn more about our Summer Camps check out our current Play Kettering Guide or contact us at 937-296-2587. This seasonal part-time position (up to 40 hours/week) leads traditional and specialty recreation camps and delivers a quality, safe and enjoyable experience to campers and their families. The Recreation Camp Team helps campers have fun all summer long with swimming, field trips, games, activities, crafts and adventures. Pay range: $8.55 - $9.25/hour. Entry rate is contingent upon candidate’s related skills, knowledge and abilities. Candidates must be at least 16 years of age. 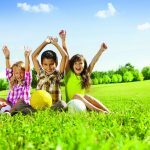 This seasonal part-time position (up to 40 hours/week) leads active sports camps and delivers a quality, safe and enjoyable experience to campers and their families. The Sports Camp Team helps campers learn new sports skills, build on established skills and focus on teamwork as we keep them moving during summer break. Pay range: $8.55 - $9.25/hour. Entry rate is contingent upon candidate’s related skills, knowledge and abilities. Candidates must be at least 16 years of age. 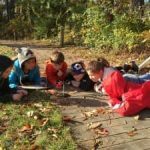 This seasonal part-time position (up to 40 hours/week) leads exciting, educational and hands-on environmental camps and delivers a quality, safe and enjoyable experience to campers and their families. The Environmental Camp Team helps campers learn about the Earth, science, nature, and explore the great outdoors. Pay range: $8.55 - $9.25/hour. Entry rate is contingent upon candidate’s related skills, knowledge and abilities. Candidates must be at least 16 years of age. This seasonal part-time position (up to 40 hours/week) leads imaginative art camps and delivers a quality, safe and enjoyable experience to campers and their families. 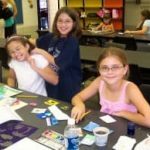 The Art Camp Team helps campers display their creativity as they work with a variety of media and create masterpieces all summer long. Pay range: $8.55 - $9.25/hour. Entry rate is contingent upon candidate’s related skills, knowledge and abilities. Candidates must be at least 16 years of age.